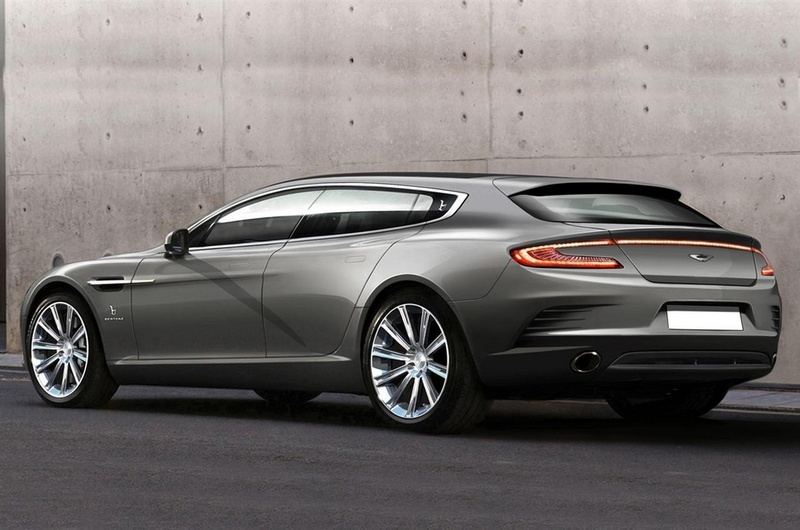 Turning an Aston Rapide into a station wagon sounds like a bad idea, but the results say otherwise. The Jet 2+2 from Italian style house Bertone might be an improvement on the four-door Aston. Actually, what the unwashed masses think of this one-off doesn’t matter; it was commissioned by a wealthy collector, who apparently finds getting to the train station on time difficult. At the front, the Jet 2+2 is mostly Rapide, except for large aide air intakes that look like they belong on a tuned Scion tC. In the middle, though, the roofline is longer and flatter. At the back is a tailgate with a very small rear window, LED taillights meant to evoke the One-77 hypercar, and more air vents. Below the new roofline, the Jet 2+2 has the same rear overhang as the Rapide, albeit with a much more convenient aperture for loading cargo. The changes aren’t too dramatic, but there’s something about an Aston Martin with a rear hatch that keeps the brain from realizing that. The Jet 2+2 is mechanically identical to the Rapide donor car. That means it has a 5.9-liter V12 under the hood, with 476 horsepower and 440 pound-feet of torque. 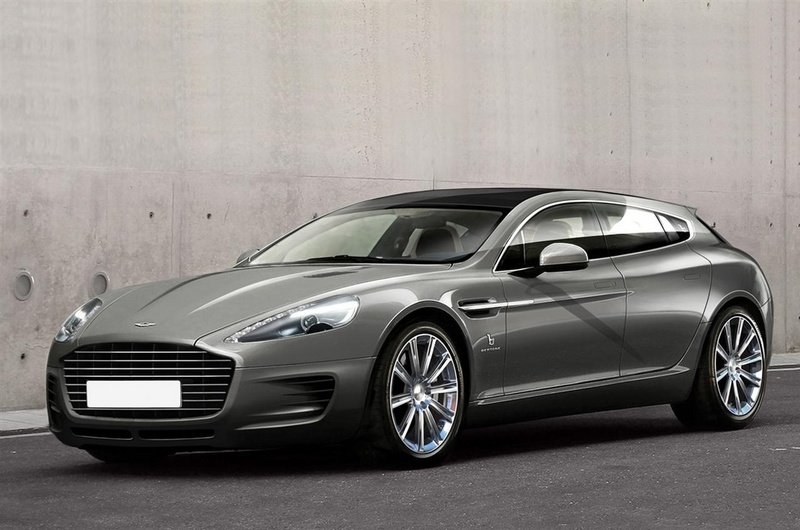 It apparently does not have the upgraded V12 from the Rapide S, which produces 550 hp and 457 pound-feet. The transmission is a six-speed Touchtronic 2 automatic. Typically, carmakers and coachbuilders use the “2+2” designation to denote two-door touring cars with usable back seats. No one wants to ride in most coupes’ back seats for long, so calling these cars four-seaters would border on false advertising. When it’s not building custom wagons for wealthy collectors, Bertone designs cars and sometimes fabricates bodywork for major manufacturers. Its credits credits include everything from the Lamborghini Miura and Countach to the Iso Rivolta and Volvo 780. Since the Jet 2+2 is a commissioned piece, Aston won’t be putting it into production. Fret not, though: Bertone is starting a new program, called Bertone Workshop, and the Jet is its first product. The Workshop is set up to take custom orders like the Aston, so if you’ve got the cash, you can have an unusual sports car-wagon hybrid of your own. Porsche Panamera pickup truck, anyone?